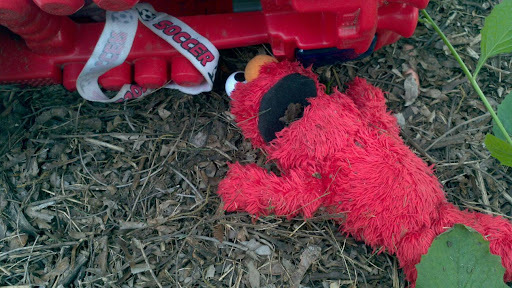 Apparently, Elmo continues to meet his demise in the Torok home. This time the poor soul was found out in a heap of dead leaves, a victim of a firetruck rollover. The coroner has not determined a time of death but again, this crime is suspected to have been committed by Levi “Vito” Torok. 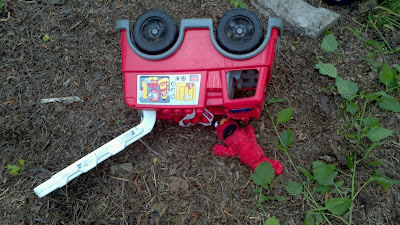 I really enjoy the crime scene photos!